The fear of undergoing certain dental procedures may be keeping countless patients from getting the good dental health care that they need and deserve. There are individuals who feel fear and anxiety just with the thought of having to face the dental drill, and have a concrete perception of pain even before the actual dental procedure is done. Laser cutting technology with Waterlase can effectively help patients in getting the dental treatments they need without having to go through an uncomfortable experience. What is Waterlase Laser Cutting Technology? The Waterlase technology uses HydroKinetic® technology to successfully undertake a variety of dental procedures, including the removal of dental caries, preparation of a cavity for dental treatment, tooth etching, and a wide range of soft tissue (gum) procedures. The Waterlase laser cutting technology has been cleared for both soft and hard tissue procedures – for adults and children alike. Waterlase can efficiently and quickly cut through the hardest tissue in the human body – the tooth enamel – without producing heat or vibrations that can cause a lot of discomfort for the patient. The air and water hand piece of Waterlase is combined with laser energy to encourage reactions from water molecules that are found both in the targeted tissue (such as the gums), and within the spray itself. 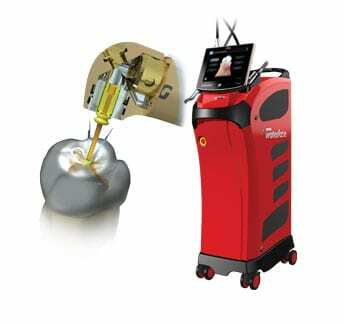 Painless Dentistry – Laser cutting technology with Waterlase enables a Kent dentist to perform painless dentistry to a patient; this is because this technology produces no discomfort due to heat and vibration – which can be experienced when a dental drill is used. 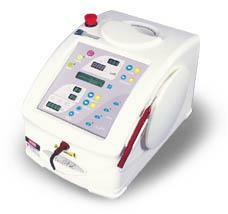 The water and air spray, combined with the laser cutting technology, ensures that the procedure is made without vibration, heat, or pressure to the targeted tissues. There is often no need for shots as well when using laser cutting technology with Waterlase since there is no need to make the area numb for the dental procedure; the patient is spared from having to undergo shots or injections for the administration of an anaesthetic. Nervous patients can have their much needed dental treatment without having to go through the fear and anxiety of facing the dental drill – and the vibration, heat, and discomfort that it can produce throughout the entire procedure. Convenience – Less time is needed for the preparation and the actual dental treatment procedure with laser cutting technology by Waterlase. The dentist can then perform the necessary procedure quickly, decreasing the time that the patient has to spend on a dentist’s chair – and reducing the down time for the patient as well. The efficiency with which laser cutting technology by Waterlase can be conducted can also make it possible for the Kent dentist to perform other accompanying dental treatments in a single dental appointment – allowing the patient to spend more time to go back to his or her regular schedule, while successfully getting the much needed dental treatment procedures. The entire treatment time is also reduced because there is no need to wait for the anaesthesia to numb the affected area, prior to the actual dental treatment or procedure. Safety and Precision – The use of laser cutting technology ensures the safety and precision of dental procedures, without having to compromise the surrounding tissues in the affected area. Waterlase technology enables a dentist to perform the needed dental procedure without affecting the other parts surrounding the specified area, resulting to a much more precise dental treatment. Laser cutting technology with Waterlase will not affect surrounding gums, teeth structure, or even dental fillings; this technology is safe even for pregnant women, who need to be very careful of cross-contamination or with various medications being introduced into the body. Elderly dental patients will also benefit with the use of Waterlase laser technology without having to worry about potential harmful side-effects caused by anaesthesia. Cross Contamination Eliminated – The possibility of cross contamination during dental procedures is quite high, and can endanger the health of both the Kent dentist and the patient. Laser cutting technology with Waterlase virtually eliminates the potential for cross contamination with a safe, precise dental instrument that will not have direct contact with the teeth, or with other tissues inside the oral cavity. The laser energy emitted from the laser cutting technology by Waterlase is actually effective in killing bacteria in the area where the procedure is done, making the entire procedure much safer for both the patient and the dentist. The hand piece used in Waterlase laser cutting technology also uses disposable tips designed for single use, eliminating the possibility of cross contamination between one part of the oral cavity to the next, or between different patients.